Star Multifuels is one of the leading supplier's and installer's of Domestic oil storage tanks in South Wales. We pride ourselves on exceptional customer service, workmanship and very competitive pricing. We are available 24/7 for emergency split tanks. 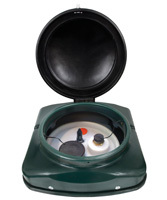 Star Multifuels are the authorised distributors and Accredited installers of Envirostore Uk Tanks. All tanks come with a full Ten Years manufacturer's warranty and are equipped with the market leading oil monitoring apollo and Spillstop overfill device.